You may know us from our rich racing history that begins with The Rock, but Richmond County, NC is so much more than that. We are a community of natural riches, with pristine forests, unspoiled rivers, and fertile farmland. We are the entrance to Central Park NC and a base camp for people who want to experience the great outdoors. 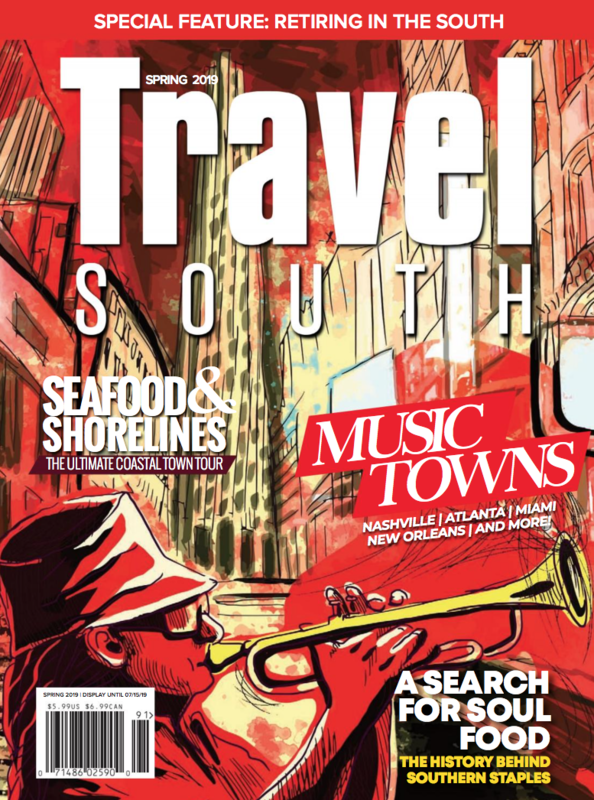 Our authentic, small southern towns define Richmond County. 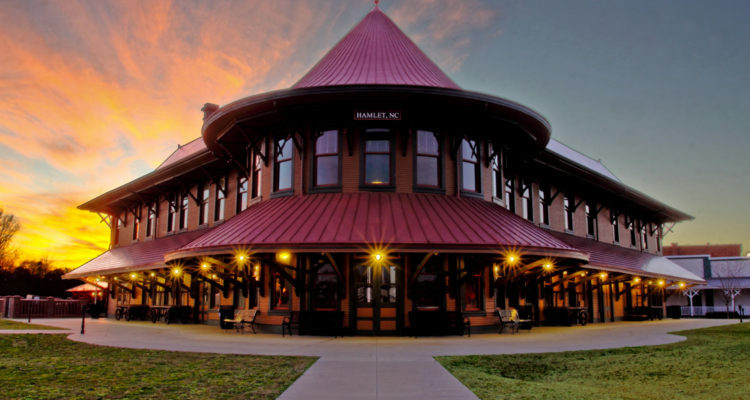 From the railroad history in Hamlet, the historic courthouse town of Rockingham, the agricultural center of Ellerbe, or the crossroad communities of Hoffman and Norman, people can escape the hustle and bustle of the big city. Richmond County if one for the active! 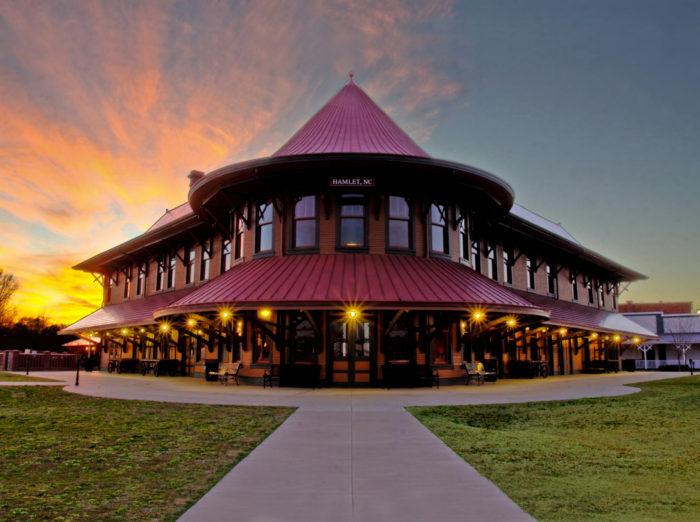 Children from all over the region flock to Discovery Place Kids, Rankin Museum, Richmond County Museum, The National Railroad Museum and the Hamlet Depot and Museums to laugh and learn. Sportsman retreat here to hunt the lush longleaf pine woodlands of the Sand Hills Game Lands to get a unique wingshooting experience at a hunting plantation, or even compete in field trials and sporting clays. If you want to enjoy a day of golf, the Loch Haven Golf Center has a great course surrounded by rolling hills and beautiful pines. Adventurers come to our scenic rivers and roads for canoeing, hiking and biking experiences that are second to none. If it is action motorsports and racing you are seeking, Richmond County offers over 100 events each year at the Rockingham Dragway. We also have motor cross, lawn-mower racing, and classic car cruise-ins. For those who enjoy equestrian racing, we have that covered too. You can enjoy a day of barrel racing or join on our many trail rides through the Sandhills Game Lands. Richmond County’s history is rooted in agriculture. While other communities have lost that heritage, ours is still alive and well today with small family farms, destination produce stands, peach orchards, and wineries. We are home to the famous World’s Largest Strawberry where you can enjoy fresh produce and homemade ice cream. Most importantly, we offer visitors an escape to a more traditional time, one where we respect the land and nature, and are dedicated to its preservation. Whether it’s outdoor adventure, agritourism, heritage tourism, or motorsports, Richmond County can offer you the perfect getaway. So come, FIND YOUR GETAWAY IN RICHMOND COUNTY, NC!